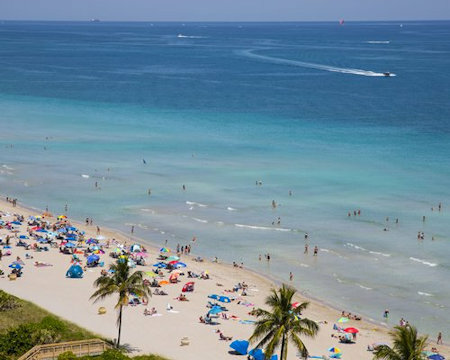 Hollywood Beach Tower, Hollywood, Florida - Buy a 7 Night Stay in a Studio Unit! 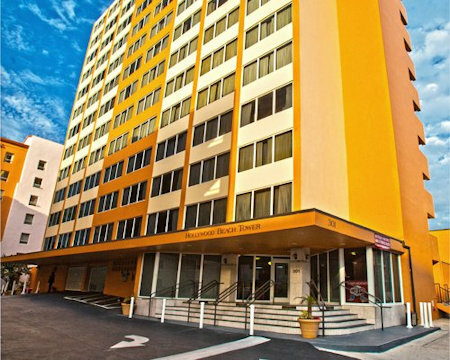 Enjoy a 7 night stay at Hollywood Beach Tower, Hollywood, Florida! 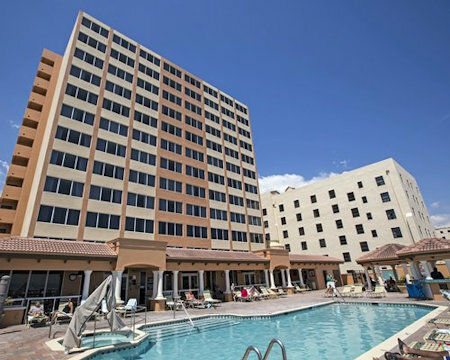 The Hollywood Beach Tower is located beachfront on Hollywood Beach, FL and is just minutes away from Ft. Lauderdale, FL. 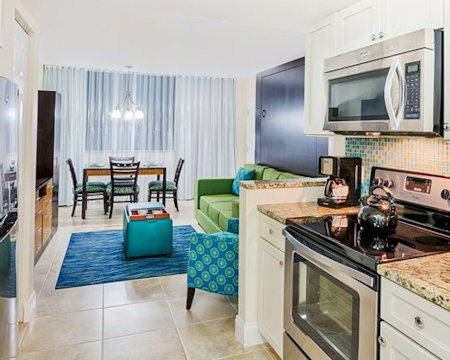 Suites with fully equipped kitchens, complimentary parking, and an outdoor pool are just a few of the amenities of this Ft. Lauderdale, Florida hotel. Enjoy miles of white sandy beaches, an outdoor pool, fitness center, wireless internet access, free parking, and much more in the perfect Ft. Lauderdale, FL oceanfront location. The Hollywood Beach Tower features full suites that provide the ultimate comfort, luxury, and value. This beachfront hotel is an ideal choice for your next Ft. Lauderdale, Florida vacation. Your Studio Unit sleeps up to 2 guests. Upgrade to a Studio Suite with a Full Kitchen for $50 for the Week! 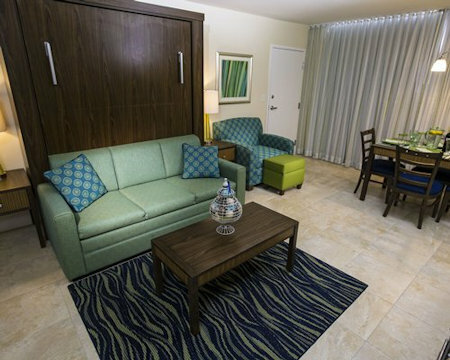 Your Studio Suite comes with a full kitchen and sleeps up to 2 guests. The resort is oceanfront, but not all units face the ocean. A US$100 security deposit (credit card imprint) is required at check-in.